Mike Wood’s last name is a wholly appropriate coincidence of birth. He’s got a fetish for the stuff. When building his off-the-grid log home masterpiece on the banks of Alaska’s Susitna River, he’d range out into the surrounding boreal forest, select each perfect tree, hug it at the chest in solemn ceremony and then gleefully chainsaw it down. “They’re salmon-fed trees! Ha!” he loves to say, referring to the nitrogen left when fish spawn and die. 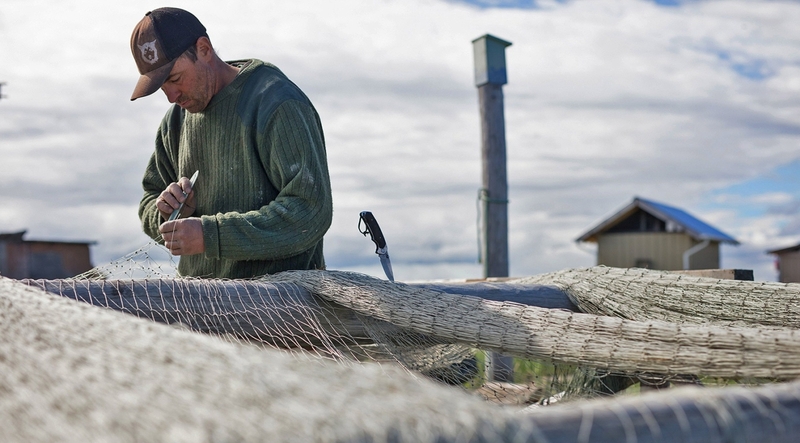 That glee and respect for the still unbroken circle of life here are the founding ideals of Su Salmon Co., a small net-to-table commercial fishing company that Mike and I started in order to get wild Susitna food to its most local markets around Anchorage. 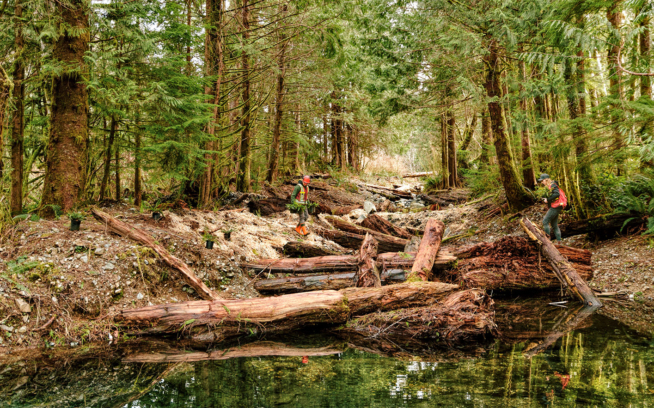 We first met back in 2013 via the activism surrounding a proposed mega-dam on the river. Mike is the president of a group opposed to it (Susitna River Coalition) and I was documenting their efforts for a film (The Super Salmon). During that time, it became apparent that even though the Su was long on superlatives—15th biggest river in the U.S., fifth biggest salmon run and most visited watershed in Alaska—the shocking idea of choking it for energy, using the antique technology of concrete, faced public apathy. This was understandable. We don’t have big dams in Alaska so there wasn’t much of a cultural or political context in which to discuss them. For some, even a century of disastrous effects on salmon wrought by dams in the Lower 48 was too abstract for the state’s outside-rules-don’t-apply default. Thankfully, the dam threat has since faded, but an important question remains: How will we relate to our incomparable wild salmon river resources as future pressures upon them mount? 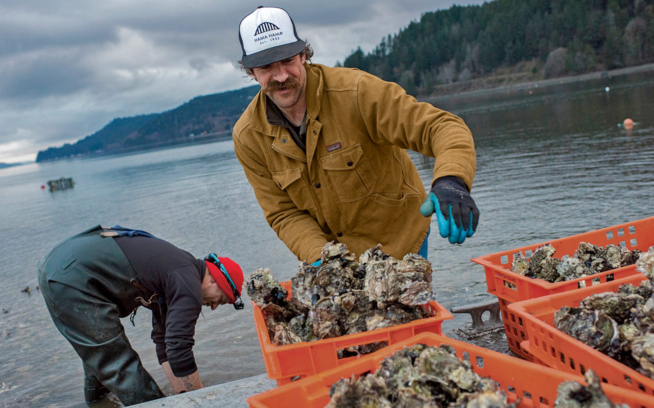 At Su Salmon Co., we hope to do something tactile, social and fun to help find answers. Everyone here likes their freezer to be full of salmon by now (the first flakes of winter are falling gently on Anchorage as I write). For us and our customers, what a proud joy it is to know they came from our backyard. Workwear is not a new thing for us, but we’re excited to be reimagining the work-specific side of Patagonia. 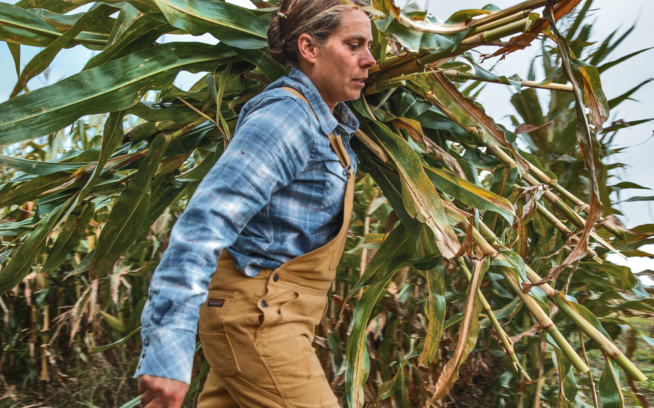 To stand up to the toughest tasks, we’ve developed a utilitarian line of jackets, shirts, pants, shorts and overalls built with super-durable, long-wearing fabrics. Our new All Seasons Hemp Canvas is a lightweight and remarkably durable material that requires no break-in and offers the resilience and freedom of motion needed to carry the day as temperatures rise. Fair Trade Certified™ for sewing. See the collection at patagonia.com/workwear. Ryan Peterson lives in Anchorage, Alaska. 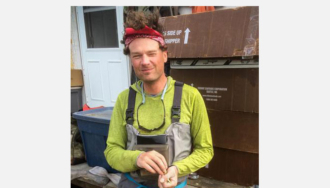 He has been a staffer in Juneau; a fly fishing guide in Bristol Bay and Kamchatka, Russia; and a writer and filmmaker covering conservation stories around the North Pacific Rim. The irony of evolving from catch-and-release fly fishing with barbless hooks to killing as many salmon as he can with a net is not lost on him.